Following a phenomenally successful 25 date tour of Europe and the UK this past November and December 2017, Queen + Adam Lambert have made the surprise announcement that the band will play further shows in Europe this summer. The new tour dates follow unprecedented demand for more concerts in Europe and will see the band perform in cities not included in last year’s tour. Already announced are shows in Italy and Germany. Others to be announced are expected to include Portugal, Spain, Denmark, Norway, the Netherlands and Belgium. “Nothing short of mind blowing! One hell of a show filled with all sorts of magic." 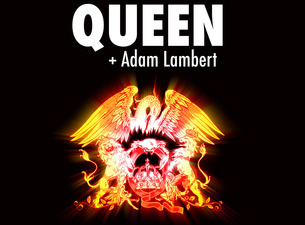 Since first sharing the stage for the American Idol final in May 2009, Queen + Adam Lambert have proved to be a hugely successful global partnership, having now played more than 130 shows in every corner of the world. Ahead of the forthcoming European summer dates, Queen + Adam Lambert play ten sold out arena shows in Australia and New Zealand, beginning in Auckland with two shows at Spark Arena on February 17 and 18, and ending at Perth Arena on March 6, 2018.